Just email or message us on FB @ "Steph's Puppies" to see if this beautiful black female is still available. 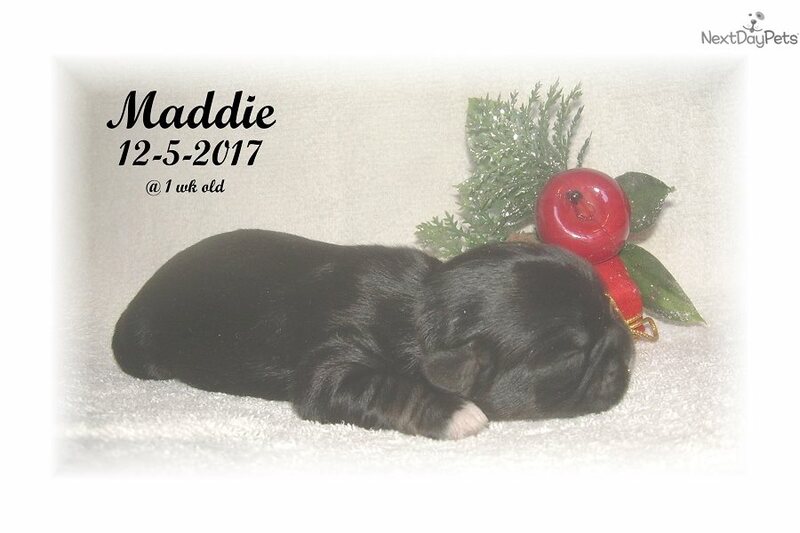 Raised in a family environment, Maddie will be socialized and ready to be the perfect addition to your family. Her pedigree consists of champions which would enhance any breeding program. She comes with UTD shots, worming prevention treatments, Full AKC registration, and vet health certification. Ground shipping can be arranged by seller and is an additional cost to puppy's price.